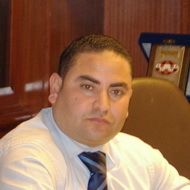 Salem graduated from the Faculty of Law of the University of Banha and joined the firm in 2002. He specializes in resolving commercial and corporate disputes and advising on several legal aspects with a focus on civil, commercial, labor and corporate law. He is one of the firm’s key players when dealing with governmental authorities including the Egyptian Environmental Affairs Agency (EEAA), the General Authority for Investment and Free-Zones (GAFI). Salem is also one of the most efficient lawyers when it comes to investigations on the financial standing of companies and has acquired extensive knowledge and top grade connections within the commercial registry and other departments. His profound skill as well as approachable character makes working with him both delightful and effective.